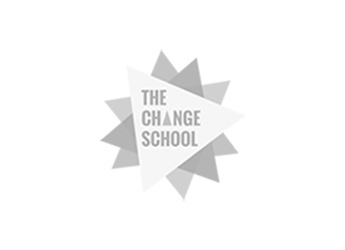 In case you missed this week's Change School TV episode, Grace and Solonia shared tools and tips for getting UNSTUCK in life/work. When things are going our way, we often feel stuck or paralysed in our situation. It can be frustrating and exhausting when we struggle to see things clearly, make decisions, and move forward. Instead, we find ourselves stuck in over-thinking, self-doubting or doing nothing. And the more time passes, the more we lose momentum and motivation to take action. Being stuck is not always a bad thing. That feeling of 'stuckness' is an important and often necessary part of the change and transition process by forcing you to pause, reflect on what's not working, and consider how you can look at challenges or problems you're facing in a different light. So often, we go through life in autopilot mode: wake up everyday, get to work, wrap up the day, and do it all over again. And if you're not particularly challenged, inspired or happy in your job or role, chances are your weekends are packed with events, errands, life admin or other obligations. We fall into the trap of keeping 'busy' and constantly 'doing' instead of pausing to take stock of how we're actually feeling. As a result, so many of us fall into the trap of mindless routine, unfulfilling work/careers, or believing that things will never get better. When we go through life this way, we are actually feeding a 'fixed' mindset - going through the motions of life and work instead of looking to challenge, develop and stretch ourselves. Over time, we become complacent about our growth prospects, resistant to change, and convinced that keeping the status quo is the only option available to us. With a 'fixed' mindset, we coast through life - allowing external circumstances and situations to dictate our future instead of creating the opportunities we want to have. So how do we break the cycle? By making a simple but powerful mental shift that embraces possibilities, focuses on growth, and sees challenges as opportunities - what Stanford University's Carol Dweck has worked extensively to define as a 'growth' mindset. Building on this idea, Grace and Solonia share three key things you can start working on TODAY to help you get unstuck in life and work. Understand that feeling stuck is a sign that something's not working. Whether you're stuck in the mundanity of everyday life or in the cycle of negative and self-limiting beliefs that hinder you from moving forward? Look to understand why you're feel stuck and what this state of stuckness can tell you about the areas of your life/work that aren't working and need to be addressed. Don't just think through this - write it down. Make a list of all the factors that may be contributing to your current situation in order to identify what's causing you to feel this way. Cultivating a 'growth' mindset starts with reframing challenges into opportunities. It's about shifting your mindset from "I'm not good at 'X'" to "I can build knowledge / skills / experience in 'X' in order to feel more confident about 'Y'". The key here is to remember that we always have a choice - to accept the status quo or change it. Finding your intrinsic motivation to get where you want to go means recognising that you are in the driver's seat. So often, a big reason we feel stuck is because we have pre-conceptions of what 'should' be. Though we may not realise it, this contributes to negative thinking - "I should be earning X by now" or "I need to perfect X before I do Y". In effect, these are just excuses for procrastinating and failing to take that first step - out of fears or doubts about where this will lead us to. Rather than making assumptions or holding ourselves back, decide to take action, free of expectations about 'right' or 'wrong' or what the outcome will be. Following these steps will help you to liberate your mind, embrace possibilities and shift gears to focus on taking action. Download our FREE Worksheet for 20 Things To Do To Get Unstuck. Sign up for our fully guided online course on How To Confidently Create Your Bold Career Move (in just 5 weeks)! But HURRY - we're offering a one-timei discount THIS WEEK ONLY (until 25th September) before full-price registration kicks in for the last 24hrs (until 26th September).